The shameful treatment of elderly Commonwealth citizens treated as illegal immigrants was brought to public attention by the Guardian’s report in March on the refusal of NHS cancer treatment to 63-year-old Londoner Albert Thompson. Below we interview members of a new campaign, Schools ABC, set up to resist the encroachment of border controls in schools. Below we interview a member of the Danish group MedMenneskeSmuglerne ('With the Human Traffickers'), about the criminal charges of ‘human trafficking’ those who acted in solidarity with refugees now face. Veteran campaigner Martha Osamor talks to IRR News about her experiences in political struggles. Below we reproduce an interview with Jean Casella from the US-based Solitary Watch by Luk Vervaet, first published on his blog. Although solitary confinement is not used as frequently as in the US, the UK has four close supervision centres. A recent Prisons & Probation Ombudsman report highlighted the high number of suicides of those prisoners held in segregation. 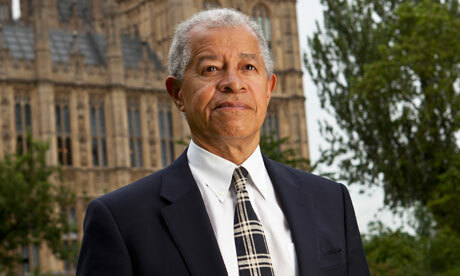 IRR News speaks to Lord Ouseley about his twenty years of kicking racism out of football. An interview with Eike Sanders, Coordinator of NSU-watch. An interview with a spokesperson from Antirassisistischer und Antifaschister Ratschlag. IRR News continues its discussion with A. Sivanandan about Miliband’s policies. A. Sivanandan, known for his trenchant critiques of government ‘race’ policies, has broadly welcomed what Ed Miliband had to say last week. IRR News asks him why. 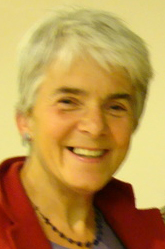 On the eve of the launch of her book, Borderline Justice, IRR News interviews its regular contributor, Frances Webber, about a life in the law. An interview with Gloria Morrison, Campaign Coordinator of JENGbA (Joint Enterprise - Not Guilty by Association) which is a prisoners' support group made up of the friends and families of people convicted under the doctrine of joint enterprise. An interview with Heiner Busch, a migrants' rights activist, who works in the secretariat of Solidarité sans Frontières (SoSF) in Berne and is engaged in the 'Double no' (2xNo) campaign. The UK Border Agency's (UKBA) shocking conduct over its proposed evictions in Glasgow needs urgent investigation, says Glasgow housing charity Positive Action in Housing (PAIH). The IRR News Service met up with three members of Foreign Architects Switzerland (FAS) who are challenging the Swiss ban on minarets. Below we publish an interview with Husein Al-Samamara, currently subjected to draconian immigration bail conditions in the UK as he fights against his deportation to Jordan, where he was imprisoned and tortured. An interview with Mohammed Jouni, a 24-year-old refugee from Lebanon who lives in Germany and is active in the Berlin branch of Youth without Borders (JoG, Jugendliche ohne Grenzen). IRR News spoke to one of the foremost analysts of racism and Black struggle as to how to meet the contemporary challenge of anti-Muslim racism. An interview with Dr Esra Erdem, coordinator of the Empowerment and Participation of Immigrants* in east Germany project (EmPa) based at the Brandenburg Regional Centres for Education, Integration and Democracy. An interview with Umar Mirza, the 22-year-old chief editor of the Dutch website 'We're Here to Stay'. Below we reproduce a discussion with members of the Austrian Kanafani Inter-Cultural Initiative. An interview with Boualem Azahoum, an activist with DiverCités and El Ghorba in Lyon. An interview with Abdul Zahiri, an activist with ACJ REV in Avignon.